After an off day yesterday, where shares in tech companies tumbled, this morning U.S. stock futures are steady. However, major markets in Europe and Asia are down. Before the open we will hear from Barnes & Noble (BKS) and Lands’ End (LE) as they will release earnings. Broadcom (AVGO) and GameStop (GME) will follow after the close. 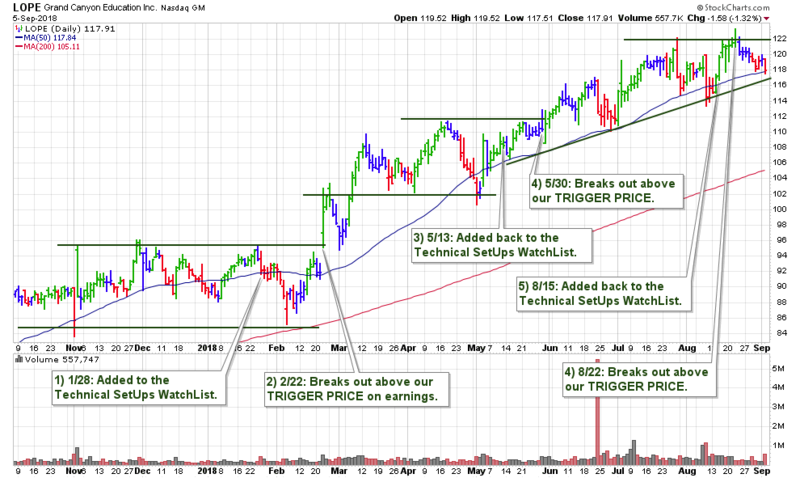 We still have 17 stocks which we will be watching for the next buyable breakout – see here. One stock in particular is LOPE which continues building a base above its 50 DMA.